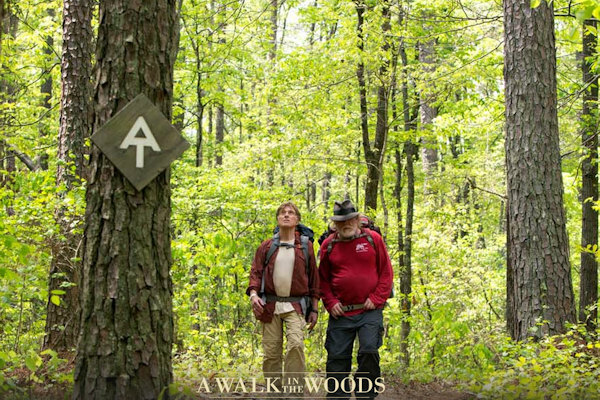 Western North Carolina native Zach Galifianakis (born in Wilkesboro in 1969) is right at home filming this movie. Best known for his hilarious performances in the Hangover movies, Zach spends his spare time at his 60-acre farm in the North Carolina mountains, where he hopes to open a writer's retreat on a completely self-sustained farm. Zach plays the armored vehicle driver who is lured into a scheme by his work crush (Kristen Wiig). He works with some inexperienced criminals led by Owen Wilson's character. After the heist, the group starts fighting with each other as they rapidly spend their loot on mansions, cars and boats. When gang double-crosses Galifianakis, he's set up to take the fall. Jon Daly plays the supporting role of Plewe, an FBI agent who helps connect Wilson's character to the heist. 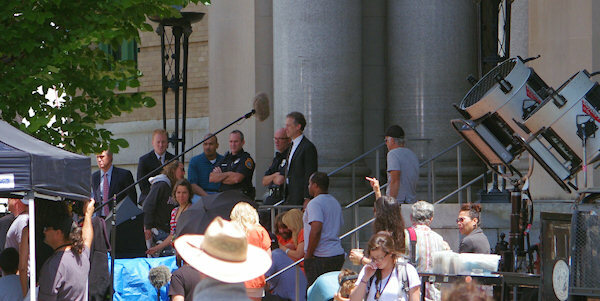 Filming on the steps of the Buncombe County Courthouse in downtown Asheville. 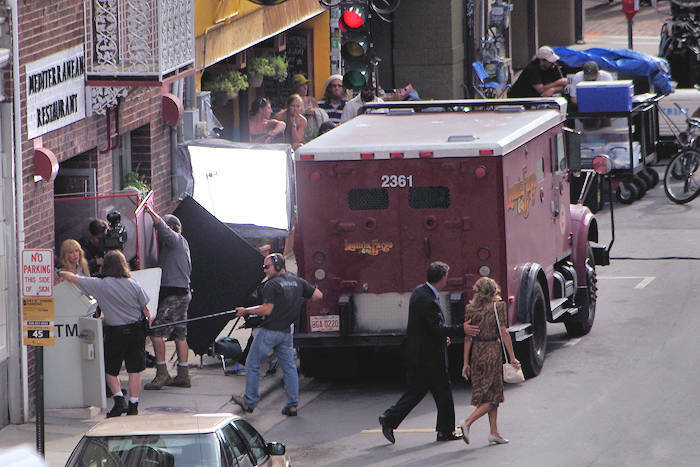 Filming took place on the streets of downtown Asheville in late July 2014. Streets were closed around Pack Square, including Broadway and Biltmore Avenue, as cars were filmed racing down the streets. Before that, production crews worked in Swannonoa, Old Fort (Ethan Allen warehouse on Commerce Street) and Waynesville. 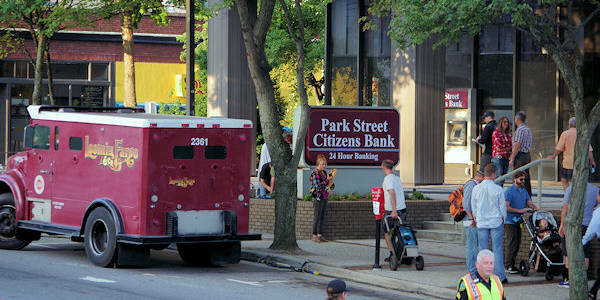 The former BB&T building in the middle of downtown Asheville became "Park Street Citizens Bank" for the movie filming on July 29, 2014. 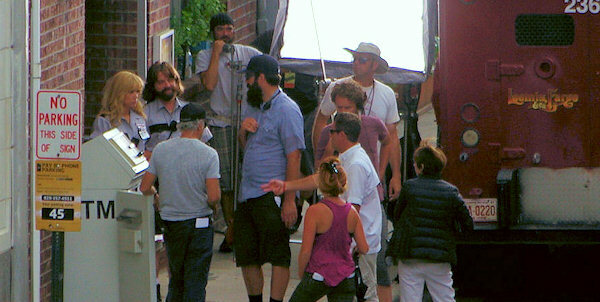 Zach Galifianakis is seen on the right pushing a baby carriage! 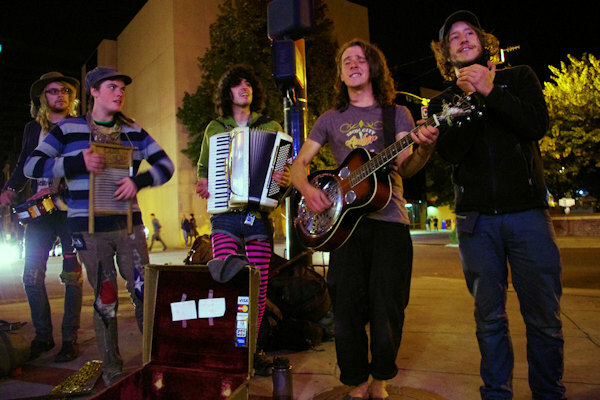 Actors were spotted frequently unwinding in downtown Asheville restaurants and hotels. Owen Wilson was spotted riding down Sliding Rock and visiting the River Arts District farmers market.